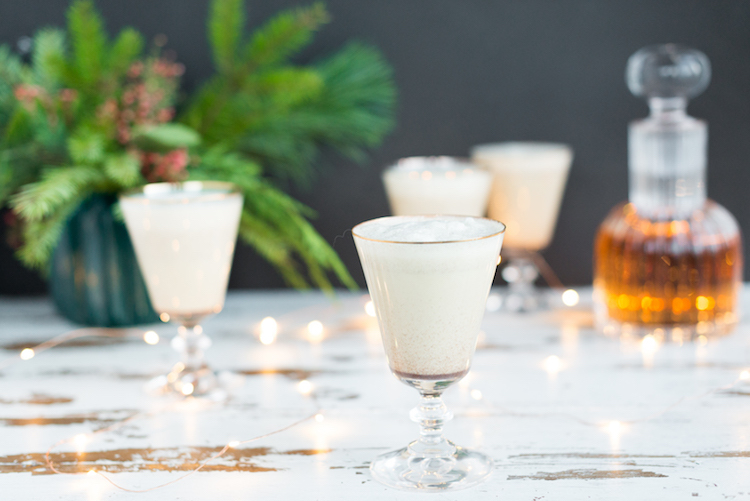 Eggnog is a creamy, decadent treat that is perfect to sip on while cozied up under a furry blanket with the lights off watching the dazzling lights on the tree. It’s a tradition in my family to make batches of aged egg nog right before the holidays and let them sit for a few weeks. It’s definitely worth waiting for, but sometimes I don’t want to wait! 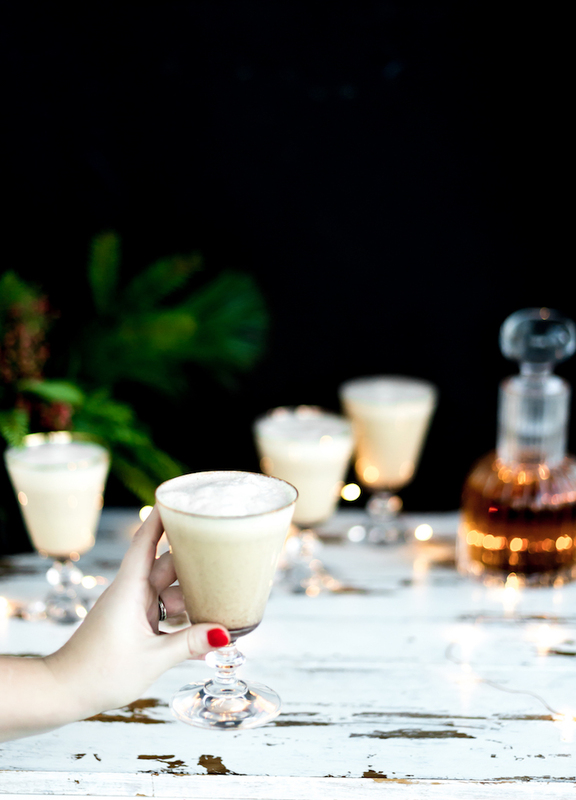 For those times, I make this easy spiked holiday eggnog that you can drink right away. 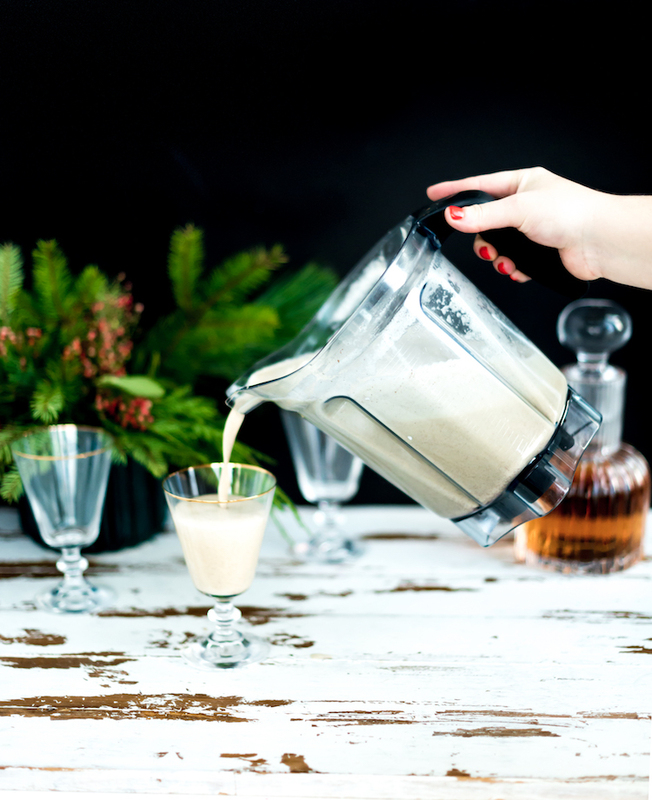 When friends pop by unexpectedly, this eggnog is easy peasy to whip up in a couple minutes. You can make a big batch in a Vitamix which means you spend more time chatting vs. shaking. It leaves you more time for creating those unforgettable moments. When my family gathers in the backyard around the fire (no snow in Florida!) 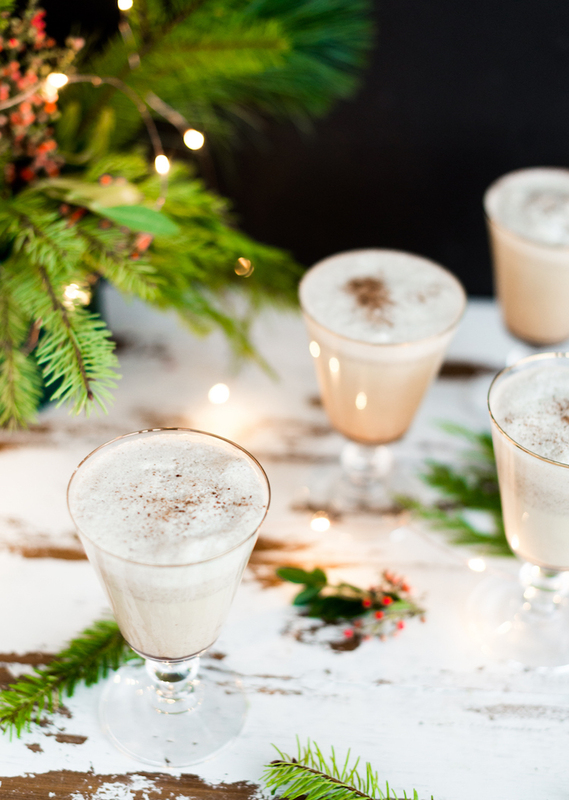 we love sipping on eggnog. It’s warming spices, and creamy texture just go so well with the roaring, smokey fire! 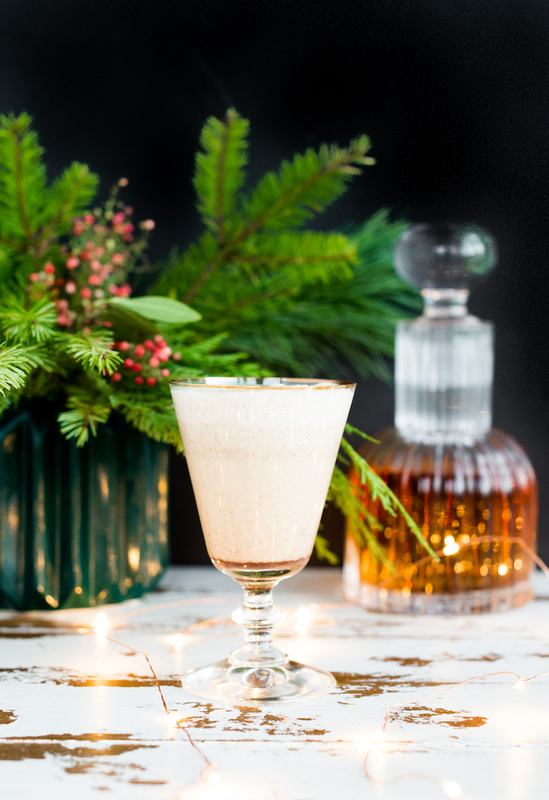 If the aged nog is not ready we whip this version up to enjoy together. 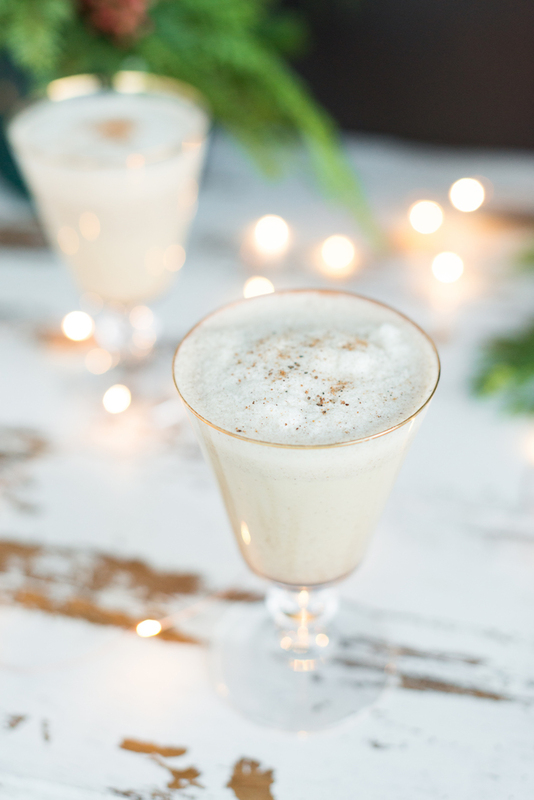 There is no other food or drink that says the holidays more than eggnog for me! 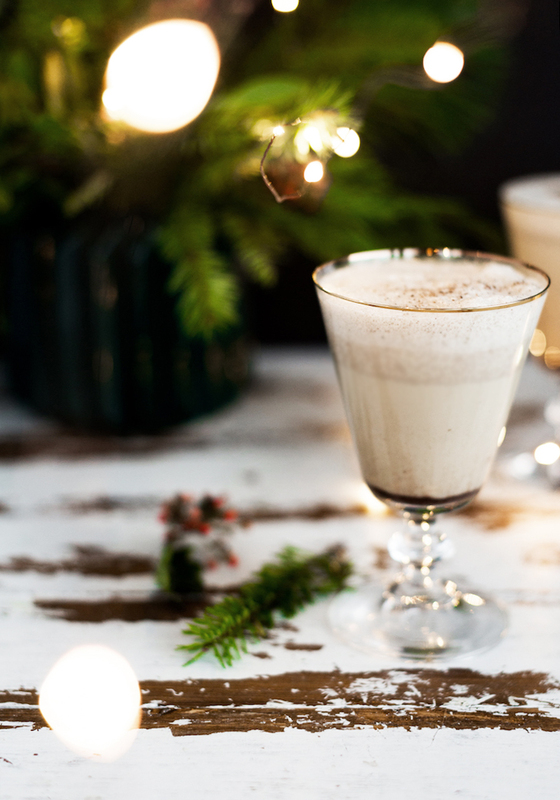 There are two camps: those who love eggnog and those that really don’t. 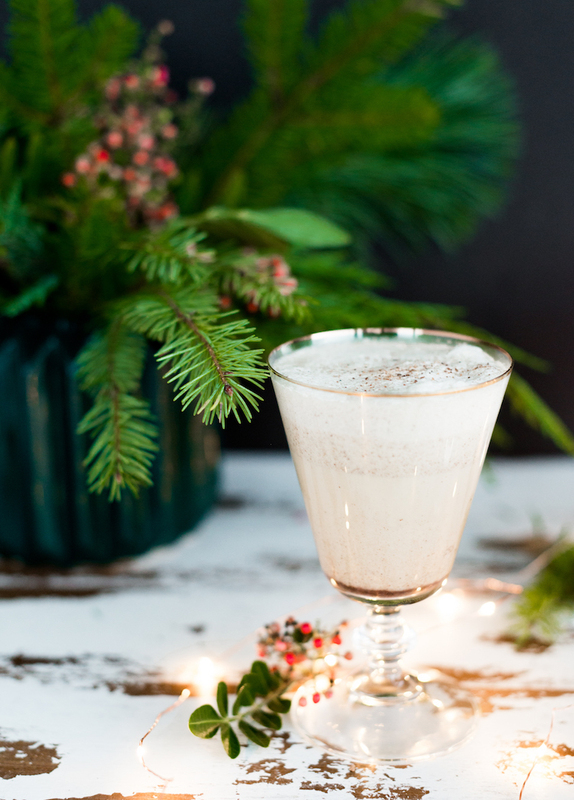 If you are in the latter, I guarantee this nog will change your mind (and life)! It’s almost like spiced, melted ice cream. Oh, and it has a lot of booze. 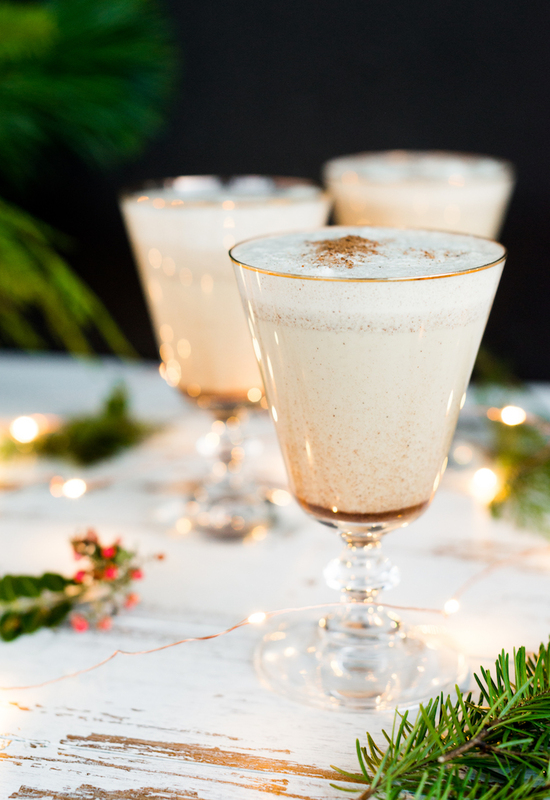 Regular eggnog can be too thick + overly cloying on the palate, but when you add alcohol, it helps cut through the thick texture + bridges the spices + other ingredients. Barrel aged spirits are best for nogs as they carry a lot of spicy notes + often hints of vanilla. 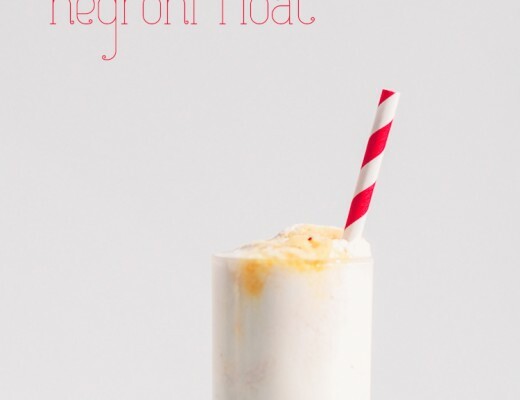 And if you already like eggnog, then you’ll need to add this to your go-to recipes for the holidays! Maybe it will even become a new tradition for you! What are some of your favorite family holiday traditions and favorite memories? I’d love to know! Add 6 yolks and 1 cup sugar to a *Vitamix. Set to medium low and mix the sugar and yolks until the sugar is well incorporated. Turn off and add the cream and milk. Set the Vitamix to medium low and blend for 30 seconds. Turn off and add the cinnamon, vanilla extract, bourbon, and rum. Blend for 1 minute on medium low. Pour into to a punch bowl or leave in the Vitamix for serving. In a separate bowl, beat the 6 egg whites with 4 tbsp of sugar just before they reach soft peaks. Fold in the whipped egg whites well into the yolk and milk mixture. 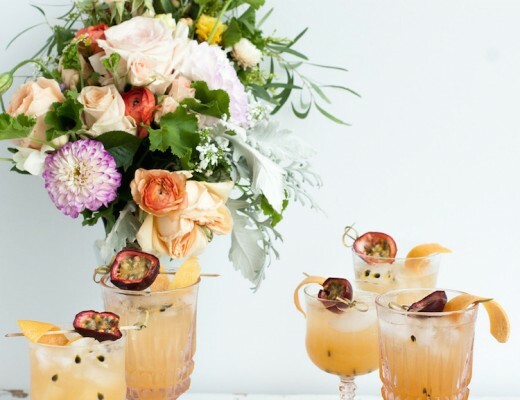 Serve in punch glasses or stemmed glasses with fresh grated nutmeg on top. Can be stored in the fridge for up to 2 weeks. Be sure to mix well before serving. 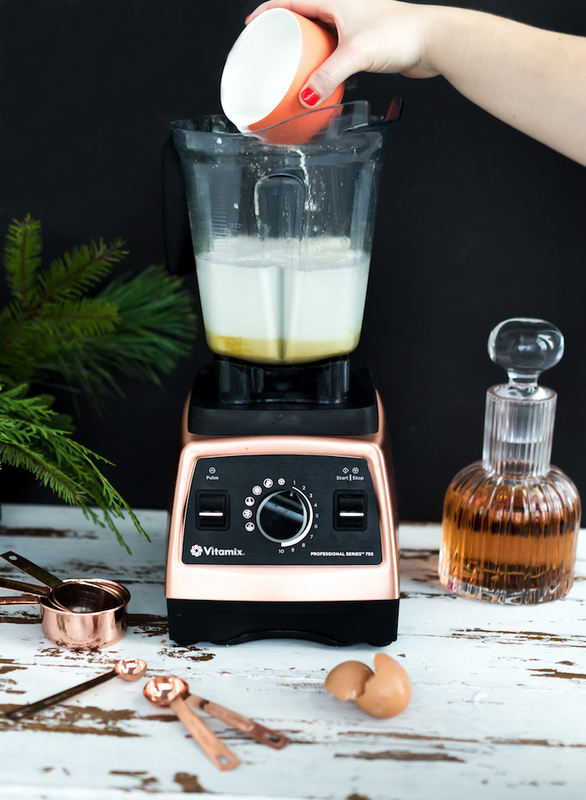 *If you are looking to give, or treat yo’ self, a Vitamix this holiday, they are offering a special $90 off a new Vitamix as well as other great offers! Having a Vitamix has seriously changed my life, and my husband’s as I am cooking more since we got one! 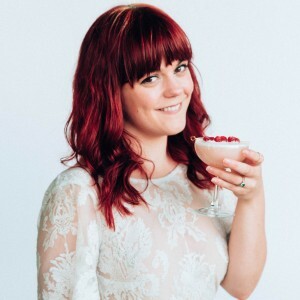 This post is a paid collaboration with Vitamix. All opinions and recipes are my own. 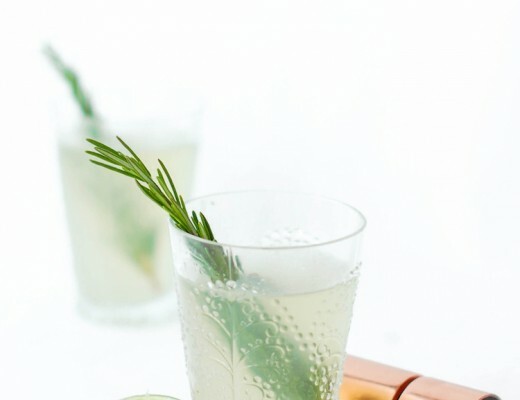 Thank you for reading and supporting the partnerships that keep the cocktails flowing on Craft & Cocktails. Hi! Can’t wait to try this. I’m going to make big batches to pass out to my friends. How long does it last if using alcohol? So glad to hear your are going to be making it! It should last a couple weeks when stored in the fridge. One thing I should mention is if it sits in the fridge for a bit, you’ll need to give it a good shake or stir as the cinnamon will sink to the bottom. Hope all you fridges enjoy the noggy gift!